Cooking with honey is simply a pleasure. It not only sweetens dishes and drinks but also adds its own distinctive flavour to whichever sugar free recipe you are following. 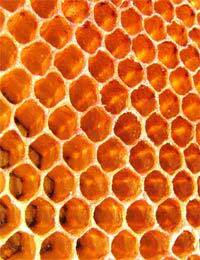 Try different varieties of honey to see which you enjoy best. While some of the more expensive types can bring hints of orange, lemon or spice to your dish, the cheaper basic versions can also be tasty.The beauty of honey is that it melts well into dishes and also helps to bind. It will not affect the setting process of cold dishes and reacts well to being heated up too. Flapjacks are a firm favourite when it comes to a good, filling snack that also has nutritious value. Why not play around with this sugar free recipe, adding different nuts and dried fruit to suit your own tastes? Preheat your oven to 180 deg C/350 deg F/gas mark four. Melt your butter and honey in a small saucepan over a low heat. Tip your oats and dried fruit and nuts into a large bowl. Once melted, pour your butter and honey in. Mix well. Spoon into a greased 18cm tin and press right down, ensuring the base is well covered and your mixture is firm. Bake for about 15 minutes. Remove from heat, and allow to cool and harden. This is a delicious sugar free drink that’s full of goodness and will give you a real burst of energy. Try it at breakfast time. Place all your ingredients into your smoothie maker or liquidiser and whizz. Top with slices banana or strawberry. Sip through a straw or spoon it straight into your mouth like a pudding! Honey really is a very versatile ingredient. Try using it in a sugar free pie to add sweetness to tart fruit. It works very well with cooking apples, rhubarb or gooseberries. In this recipe honey and apple juice combine to sweeten the filling. The delicate flavour of the honey works well with the sharp edge of the cooking aples. Preheat your oven to 180 deg C/350 deg F. To make your pastry, gently fork one tbsp of your plain flour, plus your warm water, into your margarine, to create a paste. Once smooth, slowly add the rest of the flour until you have a pastry that is suitable for rolling out. Wrap the pastry ball in cling film and place in the fridge to chill for about an hour. Peel, core and slice your cooking apples. Place in a medium saucepan with your fruit juice and honey. Stir over a low heat until the honey has melted. Leave to simmer for five minutes. Roll out your pastry on a lightly floured surface. Grease a 20cm pie tin and cut out a circle that is slightly larger than the tin. Line your tin with the pastry circle. Spoon apple mixture in and top with a slightly smaller circle of pastry. Seal the edges and bake for about 20 minutes or until pastry is golden brown. Serve with fresh cream or sugar free custard.